Could the US be the surprise package to win the World Cup? Answer: not at all. But on the eve of the greatest show not on ice, I found the best and only man to suggest otherwise, author Robert Andrew Powell. This blog is not on that though, it’s a shameless headline to drag in your now irate eyeballs. Bear with me. My sports book of last year, This Love Is Not for Cowards, happens to be published by Bloomsbury. Pure coincidence, and I assure you I had zero to nothing to do with it, as our counterparts at Bloomsbury USA published it. It’s one of those genres US writers do so well: journalistic non-fiction. Think Stefan Fatsis’s Word Freak on the word-burgling nerd-world of competitive Scrabble. Here Powell moves to the murder capital of Mexico to follow a football team. It is absolutely brilliant, and if I can recommend just one book in my hyperbolic life, today it is this one. If you have a gratuitous interest in cartel violence, a love of Mexican football or you are just highly suggestible, read it. Having finished it I struck up a little email conflab with the author, shamefully confessing from the off that I had started it because Breaking Bad had ended and I needed a Mexican-cartel fix. Robert Andrew Powell: I would have been happy to follow the standard sports movie script. At one point, early on, I was like, ‘Can you guys please start winning? For me and my little book project here? Please?’ But it didn’t take too long for me to recognise that the team and its losing streak formed an almost perfect metaphor for the city at large. The Indios players were lesser talents cast off from better teams. They lost and lost. But every day they still stepped onto the field and kept fighting for the team, the city and for their own personal pride. 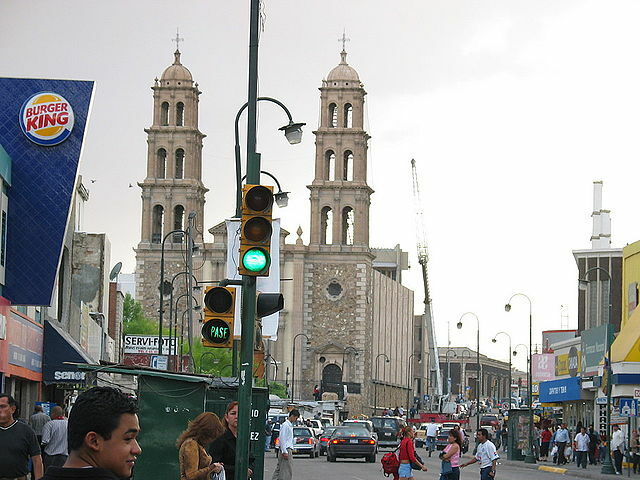 Ciudad Juárez at the time was so very horribly violent, and it was somehow getting worse, yet most people in the city got up in the morning and went to work and tried their best to live a normal life. As a fan, I would have enjoyed it tremendously if the Indios had strung together some wins and stayed in Mexico’s top league. But that isn’t how life generally works. Miracles are rare. That’s why we celebrate them, and remember them. The Indios, when I embedded with them, were real and human. They struggled, as most of us do. And that honourable struggle came to be what I loved most about them. I guess the most obvious questions relate to ‘what happened next’: for you, the Indios, the players and Juárez. The Indios appear to have ‘dissolved’ according to Wikipedia after ‘financial problems’. Do you know any more on this? Have the fans found a suitable new object for their affections? Are you in touch at all with the old Karteleros (the Indios’ ultra fans)? Have you been back? 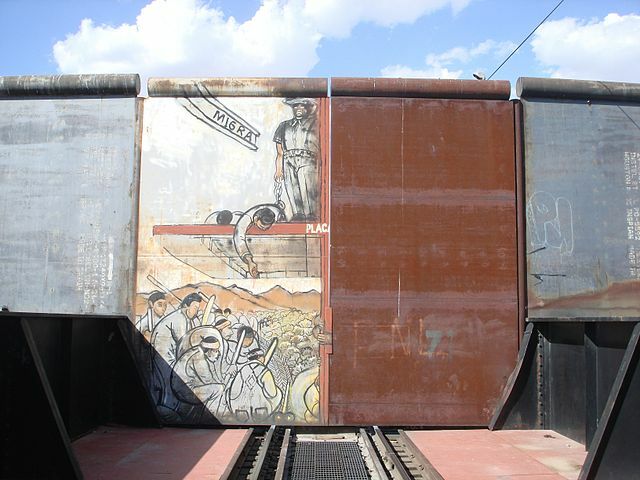 How is Juárez without the Indios? How are those ex-Indios players getting on? The team suffered relegation while I was there. Not much more than a year later, they folded altogether. Without TV revenue and with attendance way down – and with the murder rate still sky high – owner Francisco Ibarra couldn’t keep the team afloat. He’d told me he would never, ever sell the team. Yet he did sell, in the end. 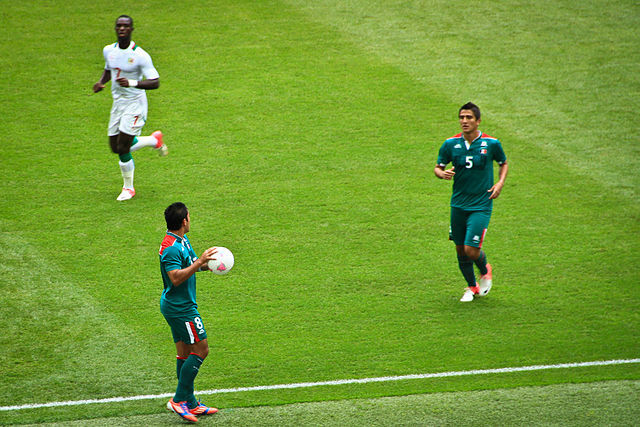 The players scattered across Mexico. Marco Vidal, the American midfielder who was a central character in the book, ended up back in the top league with a team called Pachuca. But he eventually dropped back down to the minors, where he remains. He’s 28 years old now. I doubt he’ll climb back up. The allegiances of fans in Juárez drifted to other teams, like Chivas in Guadalajara and Pumas in Mexico City. Two years after the Indios folded, a replacement team finally stepped forward to represent the city. This new team, also called the Indios – traditionally every sports team in Juárez is called the Indios – are sponsored by the local university, and play at the same stadium. But in the lowest minor league. Attendance is light. The quality of play is way, way down. The team is nowhere close to ever returning Juárez to the top league. I remain in close contact with a lot of people from the book. From players like Marco to the Ibarras to many of the fans who followed the team when I was there. I’ve gone back to the border frequently, most recently just a few weeks ago. Juárez is quite different these days. 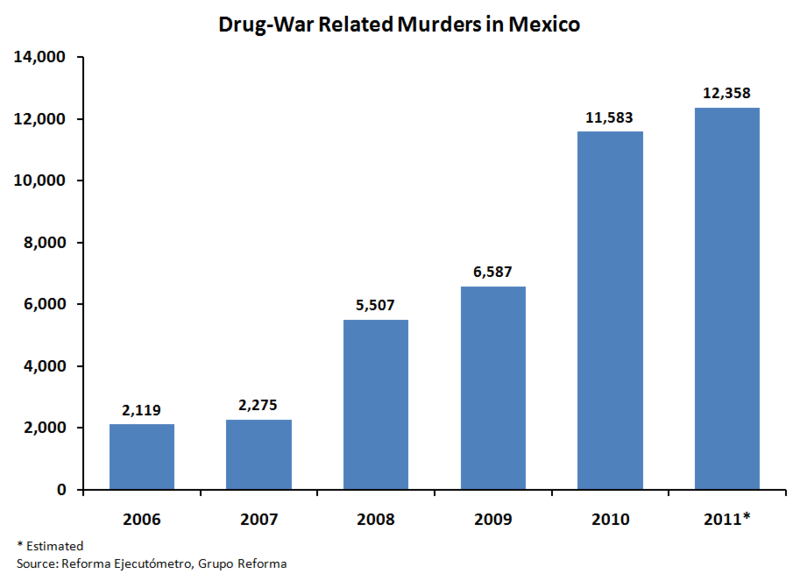 The murder rate – which is still high – has dropped significantly from the eye-popping numbers of 2010. Many more bars and restaurants light up the night, and people feel a lot more comfortable going out. It’s not like the city’s problems have been solved, though. 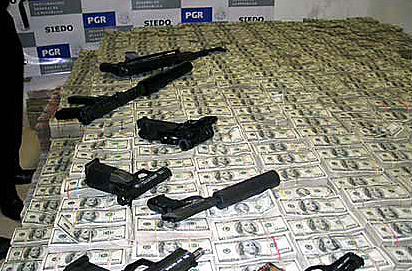 Corruption remains endemic. And thousands and thousands of murders from the past six-plus years remain unsolved. These murders were never even investigated, really. The ghosts of the dead haunt the city. One can’t pretend the killing never happened, or is just some vague memory from the past. Were you worried at all in writing the book that you were endangering the lives of any of the people you described? Especially when they were discussing cartel boss J.L.? I never felt I would endanger anyone with my book. Maybe that’s naive of me. I strive to ground my work in real names and place and details. For the record, nobody seems to have been hurt. El Paso would have been the place for Hank to advance his career. For obvious reasons. 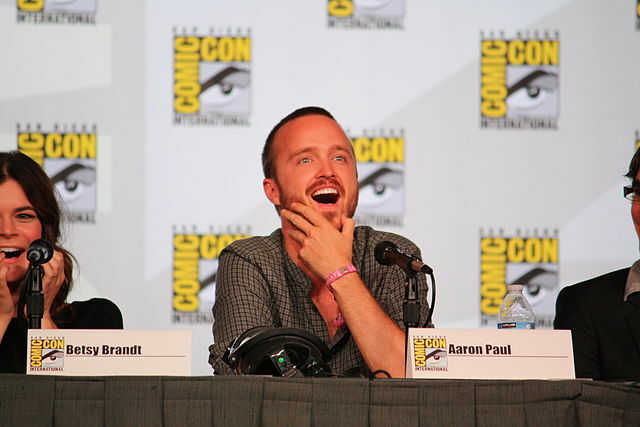 As far as Marie’s description of El Paso as ‘an armpit’, well … Albuquerque isn’t all that different. Both cities are dusty, isolated and relatively small. Albuquerque is close to the beautiful little town of Santa Fe, which is nice. But I’d rather live in El Paso, personally. It’s close to a whole other country. The book’s title, This Love Is Not for Cowards, is great. Did you have any working titles that didn’t make the cut? The original title was On the Line, which worked in about eight different ways. The US Border Patrol uses ‘the Line’ to describe the international border. 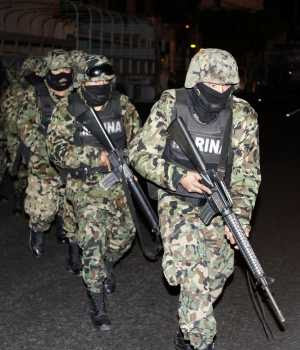 The Juárez cartel is known locally as La Línea. Marco Vidal, when asked early in the book about the high stakes of the upcoming season, says ‘our lives are on the line’. That was my alternate, more poetic title for a while, Our Lives Are On the Line. But it turns out that way too many stories about the border are entitled ‘On the Line’. The very day I handed in the final draft of the book, the New York Times Magazine put ‘Life on the Line’ over a long cover story about Juárez and El Paso. We had to come up with something else. My editor suggested Bordertown, which I hated. What, are we talking about Detroit here? The Bordertown title stuck around long enough to appear on some early cover mock-ups, to my dismay. Time was running out, and I was frantic that I’d not find a better option when Saul Luna, one of the Karteleros in the book, suggested the title we went with. Which turned out to be perfect. What are you working on now? I see you have a book just out-ish about running a marathon, and that it was a long time coming. You must be pleased. I just released Running Away, a memoir about marathoning and my father and divorce and a bunch of other hopefully interesting things. I actually wrote the memoir before I moved to Juárez, but it’s taken until now to get it published. Beyond that, I’ve been working for a while on what I hope will become a book set in Miami, and more specifically on a golf course. 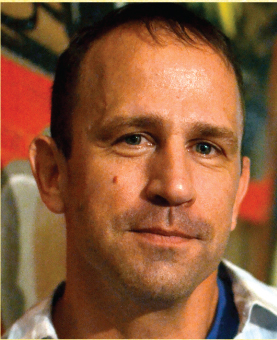 My first three books involved American football, soccer and running. Now golf. I’m working my way through all the sports, I guess. Kind of like a literary decathlete. Both USA and Mexico are in the World Cup, how do you fancy their respective chances? Is the competition at all in the media in the US? I’m a big fan of the US Men’s National Team, as we call them. A real big fan. Perhaps so much a fan that my logic is clouded. I’m approaching the tournament in Brazil with guarded optimism. I can see us getting out of our group, which is a killer – Portugal, Germany and Ghana (a country that eliminated us from the previous two World Cups). We also have the toughest travel itinerary of any team in the tournament. Yet, we stunned Portugal in Korea in 2002. We beat Germany in a friendly last summer, and our coach is of course a German who’s won the cup himself. So, yeah, I’ve decided to feel good about our chances. If I had to bet, though. If you forced me to bet, I’d wager we lose all three games and finish in dead last place. Mexico won’t have it easy in Brazil, either, not with the home team in its group. Mexico barely squeaked into the finals, too. Yet they have a far greater chance of advancing out of the group stage than the US. I want them to lose, though. Badly. To any fan of the US, Mexico is the enemy. Yes I know how hard it was for Mexico because their final play-off was against my little country, New Zealand. We were the only undefeated team at the last (our second ever) World Cup, with three draws, and I can only wish the same for the US. Oddly I am supporting England, being resident and a dreadful Anglophile, but also Uruguay, as a Liverpool and Luis Suárez fan. I’ve got Colombia as my backup squad to cheer for. To win I’m standing with the favourite. Brazil all the way. To me, a Brazil triumph is a mortal lock, absolutely certain. I’ve never been more confident about an outcome. The World Cup has England giddy all over again. Who are the players to look out for on the US (Men’s National) Team? Is Donovan still the star, or are there more impressive young-bloods? 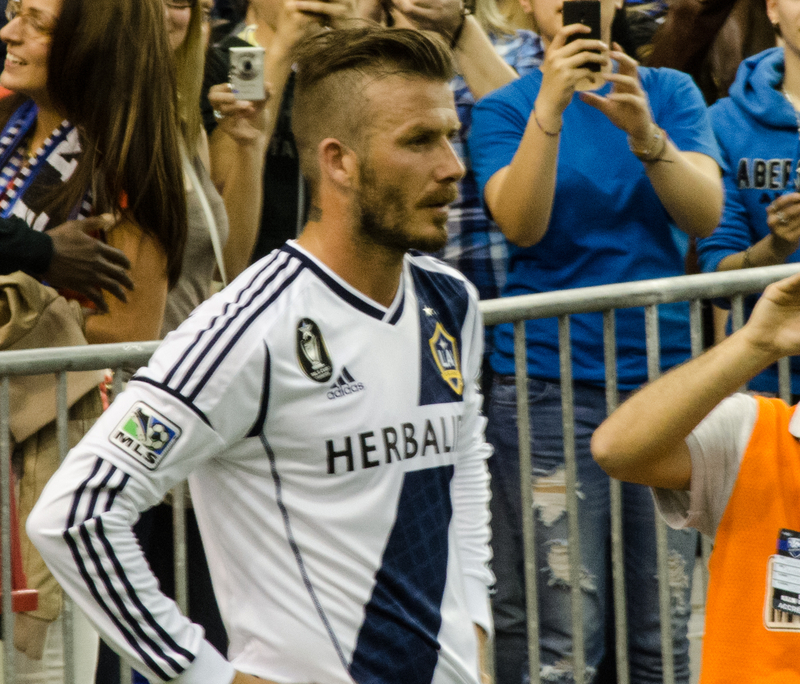 The MLS is broadcast here, but I’ve never heard many people talking about it, beyond the news media’s obsession with Beckham, when he was with LA Galaxy and now with his new franchise. As a Miamian, were you a Fusion fan, and now ready to transfer your patronage to Beckham’s little startup? The clear current star of the US team is a midfielder named Michael Bradley. Perhaps you’ve heard of him. If not, well, then that says everything about the American squad. 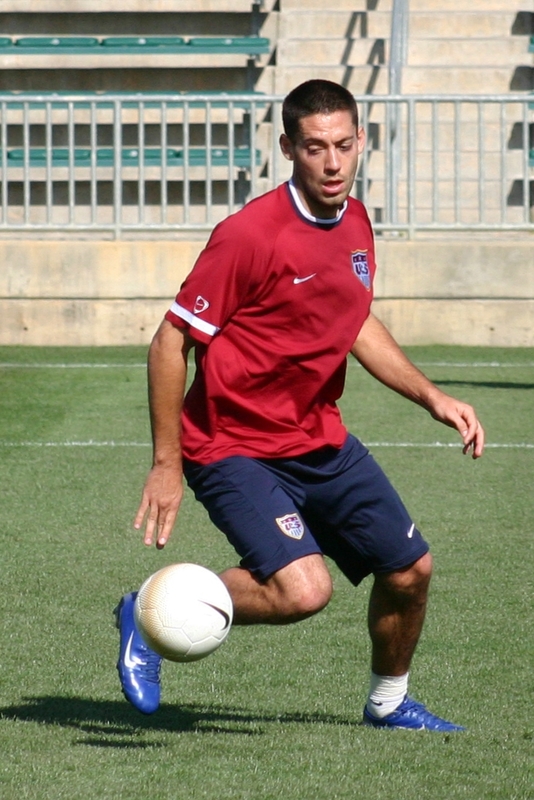 Our captain, Clint Dempsey, isn’t nearly as sharp as back when he played for Fulham. And Donovan? Man. As I type this, he’s in real danger of not making the final roster cut for Brazil. He’s been overweight and off his game. Our training camp is essentially a game of Survivor. Seven players currently in camp will be voted off the team before the plane lifts off for Brazil. The possibility of Miami Beckham United FC or whatever they’re going to call it fascinates me. I loved his big announcement that he’d decided to place his expansion team in Miami. Like, what other American city was he going to choose? Indianapolis? St Louis? Of course he was going to pick Miami. Whether Miami will support him is a real question. This city bows to celebrity star-power, but Miamians are sophisticated soccer fans. Top teams, both club and international, come through here all the time. (Prior to the World Cup, England will be in Miami for tune-up games against Ecuador and Honduras. Ghana and South Korea plan to play a game here, too.) The World Cup will be broadcast into every restaurant in town, every day. Lunch hours will be extended all month long, and the whole city will follow the tournament closely. I’ve long felt that the Fusion failed here in large part because the team’s quality of play – and the quality of the league – was simply substandard. MLS is a minor league. Then there’s the whole issue of Beckham. He and his people boast that a team in Miami will be an extension of his brand, his soccer franchise to go along with his Haig Club whiskey and his Instinct cologne for men and his H&M underwear line. That’s all good for his portfolio, but I’ve started to wonder what would happen if he’s hit by a bus. Or if, say, perhaps, he gets caught blowing rails of cocaine in the boardroom of a Premier League club. Just to say. Take away Beckham, talk merely about a MLS team coming here, and I don’t think Miami would have much interest. Finally, do you ever call the game ‘football’? Is it a bit pretentious in the States to do so? Using the word ‘soccer’ gets me mocked in Britain (in New Zealand, rugby is the only ‘football’), and they love to laugh at the US terminology used in the game. My favourite was your word ‘defenceman’ in the book for a defender. I have amused a few Britons passing this one on. Do you have any other humorous US soccer terminology for us to have a chuckle at? It’s becoming more and more common for the game in the States to be called football. The cool kids call it football, as do I about half the time. It depends who I’m talking to. It can get confusing, like trying to figure out what kind of handshake you’re supposed to give a guy. I have no problem at all with the term soccer, nor with any Brits making fun of Americans for using it. It’s who we are, it’s what we play. As for ‘defensemen’: that was a total mistake! Nobody in North America uses that term! It comes from ice hockey, a sport I played competitively through university. I slipped it into the book accidentally, reflexively, never noticing until someone pointed out my mistake after publication. I switched it back to ‘defender’ in the paperback, my cheeks red with shame. A pity to change the word, I think. It’s part of the colour that makes the book: that alternate-universe thing that is ‘soccer’ from a US perspective. Ultimately of course it is the human story, and the act of living for the Juarenses amid so much tragedy, rather than the sport, that makes This Love Is Not for Cowards so compelling. I can only recommend it, and if you won’t buy it, can I at least lend you my copy? This entry was posted in Football and tagged American soccer, Brazil 2014, Breaking Bad, Cartel, Ciudad Juárez, Clint Dempsey, David Beckham, England, Football, Indios, Juárez cartel, Landon Donovan, Marco Vidal, Michael Bradley, MLS, New Zealand, Nick Ascroft, Primera, Robert Andrew Powell, Running Away, soccer, This Love Is Not for Cowards, USA Men's National Team, World Cup. Bookmark the permalink.